Rotary encoders are very versatile input devices for microcontroller projects. They are like potentiometers expect of digital nature and unlike analogue potentiometers they never wear down. Rotary encoders not only provide 360 degrees of rotational freedom they also allow digital positioning information to be gained without the use of analogue to digital converters (ADCs). When using rotational encoders in projects it’s possible to use the same encoder to represent a number of different input types, however this requires some form of feedback display to let the user know what information he is inputting and the ‘position’ of the encoder. 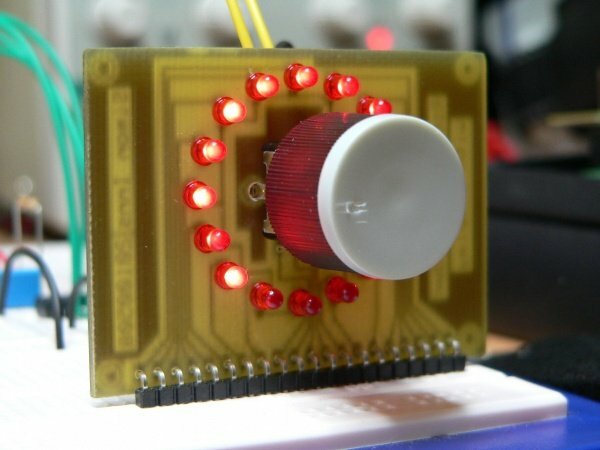 The project is based around a 24 position rotary encoder, 16 LEDs arranged in a circle around the encoder, an A6276 16 LED serial driver IC and the PIC182550 microcontroller. A rotary encoder has 3 pins usually called A, B and C. The C pin (which is normally the centre pin) should be grounded and both A and B should be connected to the microcontroller with individual pull-up resistors on each input. 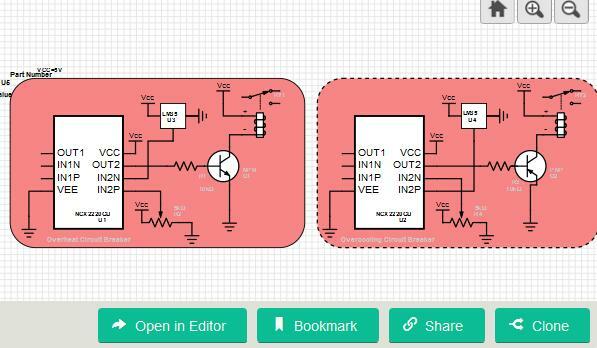 In this project I used RB4 and RB5 on the PIC to connect the encoder; this has 2 advantages, firstly you can use the PORTB internal weak pull-up (which means you do not need external resistors) and also the PIC provides an ‘interrupt-on-change’ which can be used to monitor the encoder.